I just finished my psychiatry rotation in Chicago, and it was so amazing. First off, I love this specialty! It was always near the top of my list for preferred fields, and it still remains there. Secondly, there was tons of AMAZING places to dine at during lunch or linner. 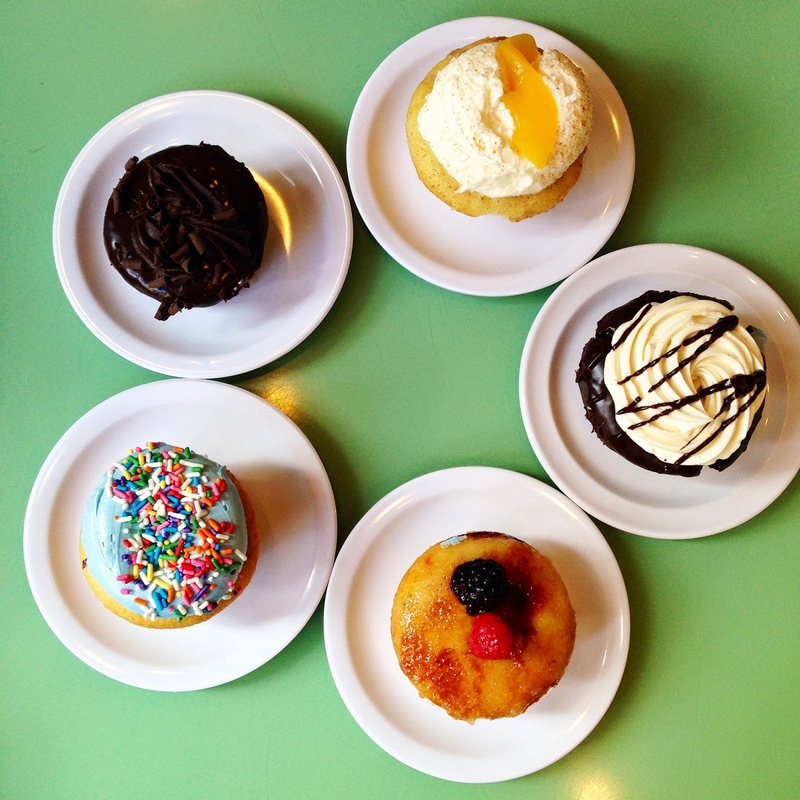 Below are Chantelle-tested eateries in the Lincoln Park & Lakeview area. Bittersweet - I've been hunting for macarons for a while now, and I'm glad to report these were just as delicious as the puffs of sweetness found in Nadege (Toronto). Unfortunately, they have only a small selection of flavors (~4). I was able to try the creme brulee tart as well, and the cream was light and delicious, without being too sweet and nauseating. DMK - burgers the size of my torso, cooked to perfection. Take a peek over at their menu, it's quite extensive and they have an eclectic combinations of toppings and mixtures. The atmosphere is hip and fun, and I'm positive it's a bangin' place for drinks in the evening, too. Fish Bar - HOLY GEEBUS! I had the Satchmo Po'Boy and I could eat that everyday...forever. That's how delicious it was. 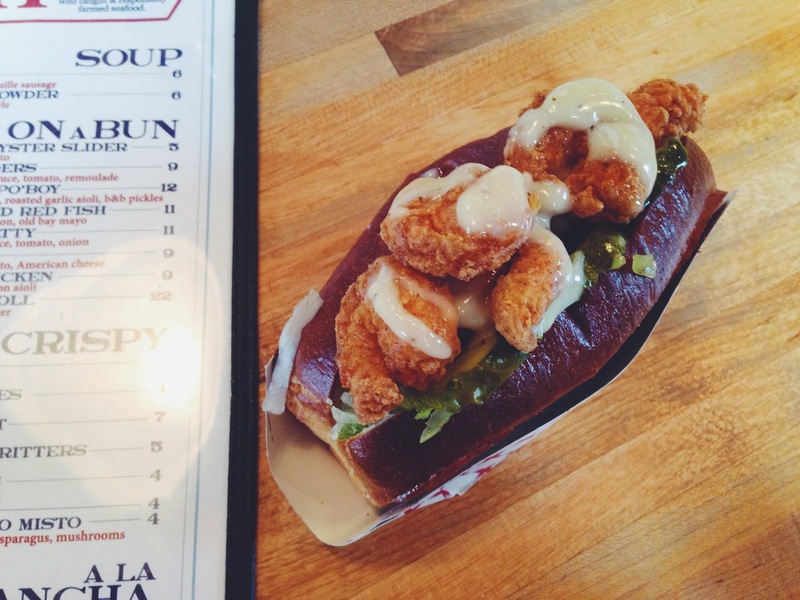 It's breaded shrimp, crawfish, roasted garlic aioli, and b&b pickles all loaded onto a nice toasty bun. My fellow colleague also convinced me to try oysters for the first time; now I'm no oyster connoisseur, but I found them fresh and amazingly tasty. Can't believe I didn't jump on that bandwagon sooner! Yummy Yummy - I had some sesame chicken & rice, but they're known for the smoothies. Hoping to check it out again! 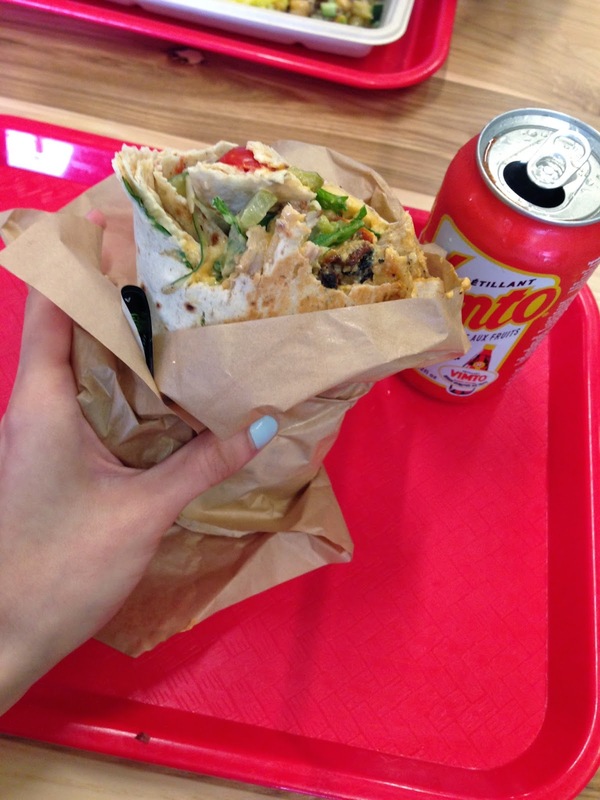 The dishes weren't out of this world, but great if you're starving and need something quick. I wandered in here after reading the good feedback on foursquare. Tandoor Char House - Another place with SOLID FOOD. I've tried the chicken bariyani (yum), but I am in loooove with the Tandoori Chicken Tiki Masala. Like, there's not even a picture for this one because the food was devoured in 15 minutes. I die. Dead. Just go. 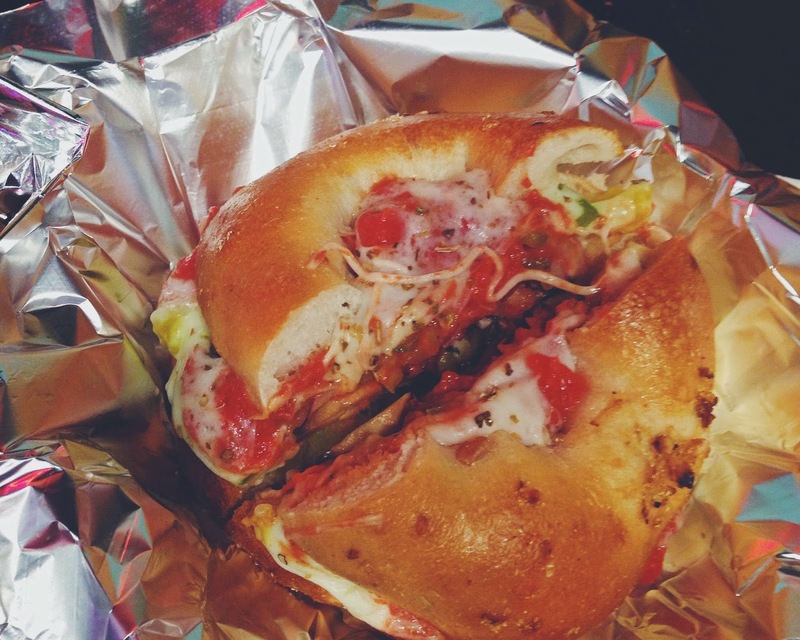 Chicago Bagel Authority - I picked up a veggie pizza bagel. It was crunchy and flavorful, with a nice amount of tomato (which I lovee). It was also not too overloaded with cheese, so my lactose intolerance was none the wiser. 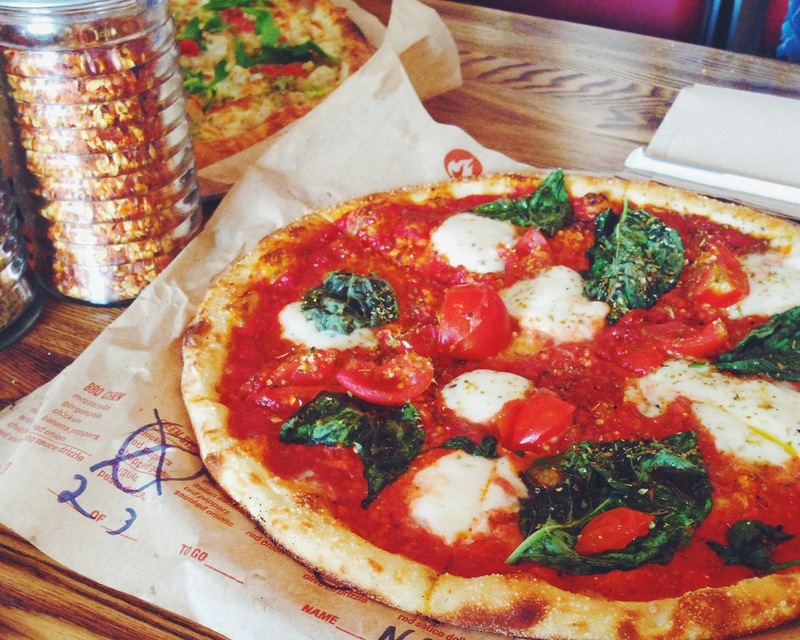 Blaze Pizza - I believe this is some sort of chain pizzeria from California, and it's such a fun place. The 11' pizzas are lightweight, and large enough for one person to eat without feeling like a heavy whale afterwards. This is such a bonus in my books! They have several variations to choose from, as well as S'MORES. 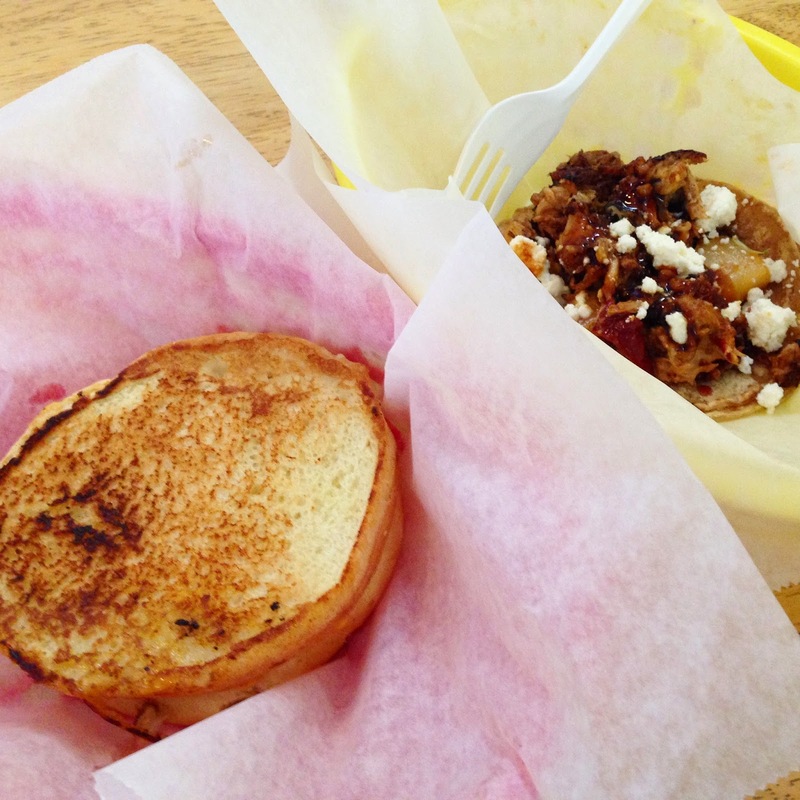 Big & Littles: I ordered the grilled cheese sandwich and hawaiian pork taco. The taco was perfection, and the flavor combination was divine for those of you who like a little sweet kick with your meat. I'd recommend ordering 4-5 tacos if you want to be full by the end of the meal. You can skip the grilled cheese; nothing spectacular. 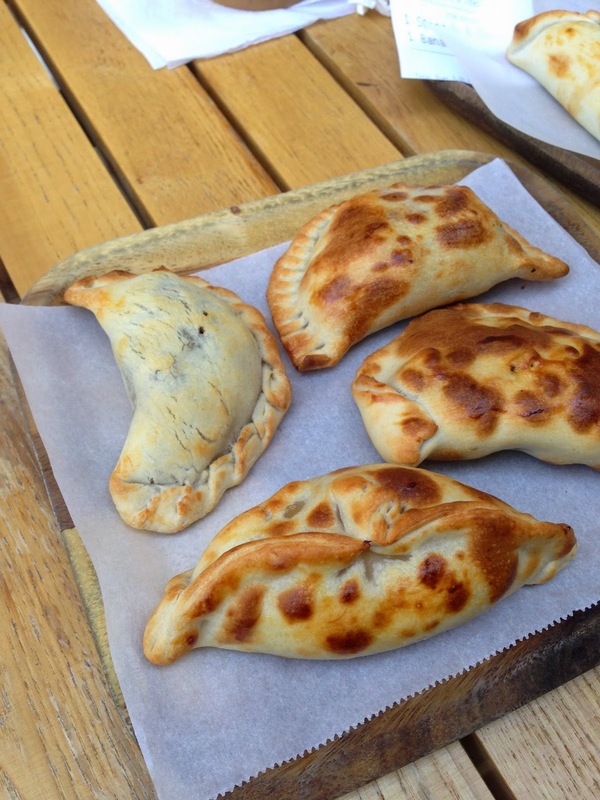 5411 Empanadas: I tried 4 different types, and the caramelized onion & malbec beef were my favorite. My friends also suggested the banana + nutella empanada. It's a lot of fun discovering these pockets of texture and spice. I suggest going with a larger group of friends and trying out one of each! Zizi's Cafe: I was famished after my shift at the hospital, and had this yummy meal to eat, full of protein and Mediterranean flair. 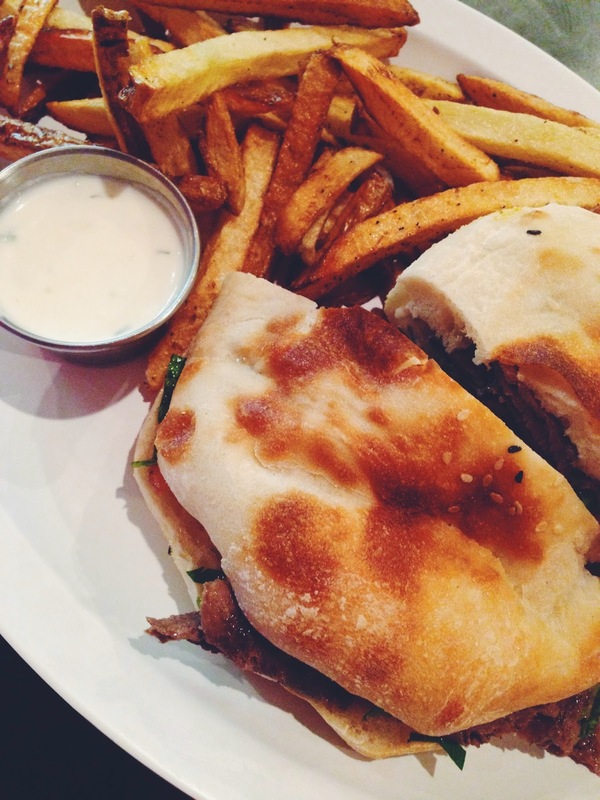 I got the beef doner kebab sandwich with a side of fries. The portion sizes at this place are quite decent, so there's left over to bring home. Native Foods Café- This was the first time I tried this chain. 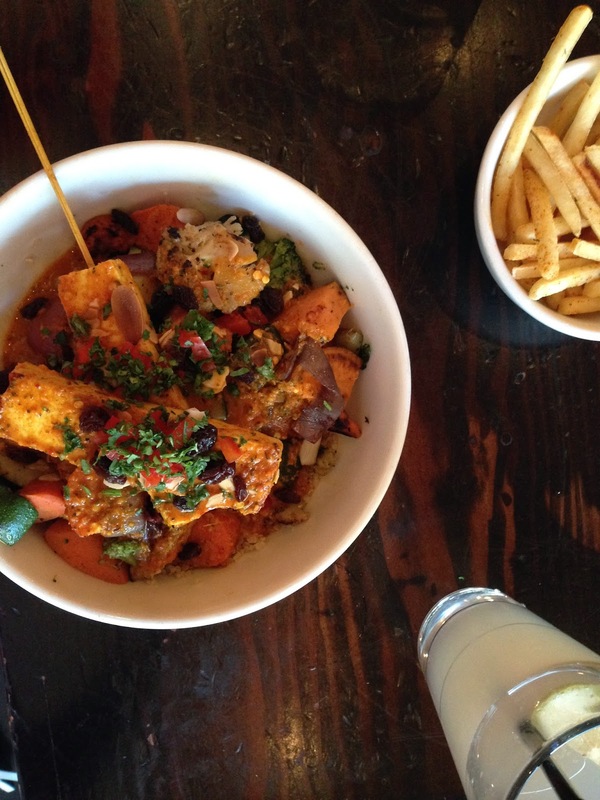 I had the Morrocco Rockin' Bowl; a mix of spicy, sweet and veggies. I actually couldn't believe how full I got halfway through. I chose the tofu version, and found the flavoring unique and consistent with the dish. My boyfriend, however, had tofu that tasted like french fries. I LOVED IT! Cafe Luigi Pizza - I was starving and needed a quick fill-me-up on the go. This place had insanely good reviews for their New york style pizza, and a deluxe veggie & pepperoni slice the size of my face was calling my name. Hit the spot, nothing magical. I'm going to go back and try it again though, since I didn't order their specialty dishes. La Tacorea - To be quite frank, I was not a big fan of this place. I felt the chicken combination wasn't the best of both worlds (Mexican & Korean). It may be simply a personal preference, since I don't like these two cuisines being mixed together. The others in my group seemed to have enjoyed their meals, particularly the beef dish! 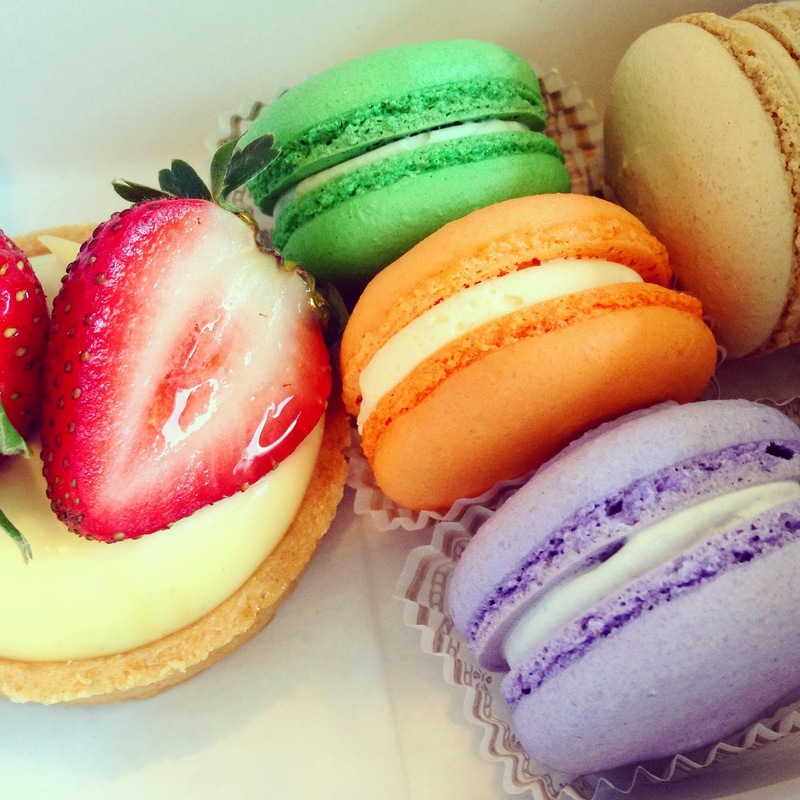 Molly's Cupcakes - I want to live here. The cupcakes have freaking FILLINGS. I tried the cake batter flavor, and there was literally CAKE BATTER oozing from the center. Oh goodness, the heavens sang. I had the chance to taste 4 other flavors, creme brûlée took close second. 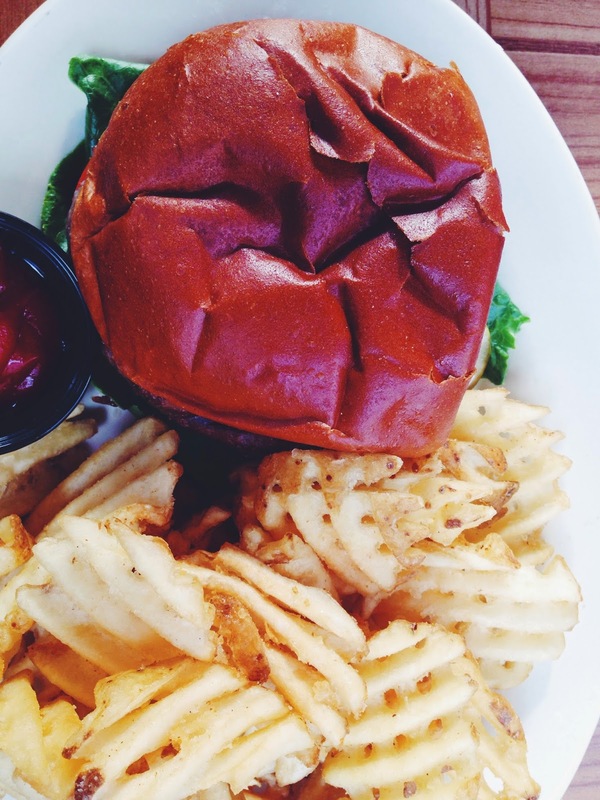 GSP - Great burgers but not the best. Loved the waffle fries, and the pear cider. The latter is great for those of you who are not fond of the taste of alcohol. Batter & Berries: I tried out the Banana-Nut Belgique which includes caramelized banana and maple butter smothered on a warm, freshly made waffle. It was a total mouth party. And none of the sweet breakfast plates need maple syrup, you just eat it with the homemade maple butter...and it's perfect. I also tasted the super flight french toast, and some hash browns. Absolutely fantastic. Needless to say, we all gained a little weight this rotation. 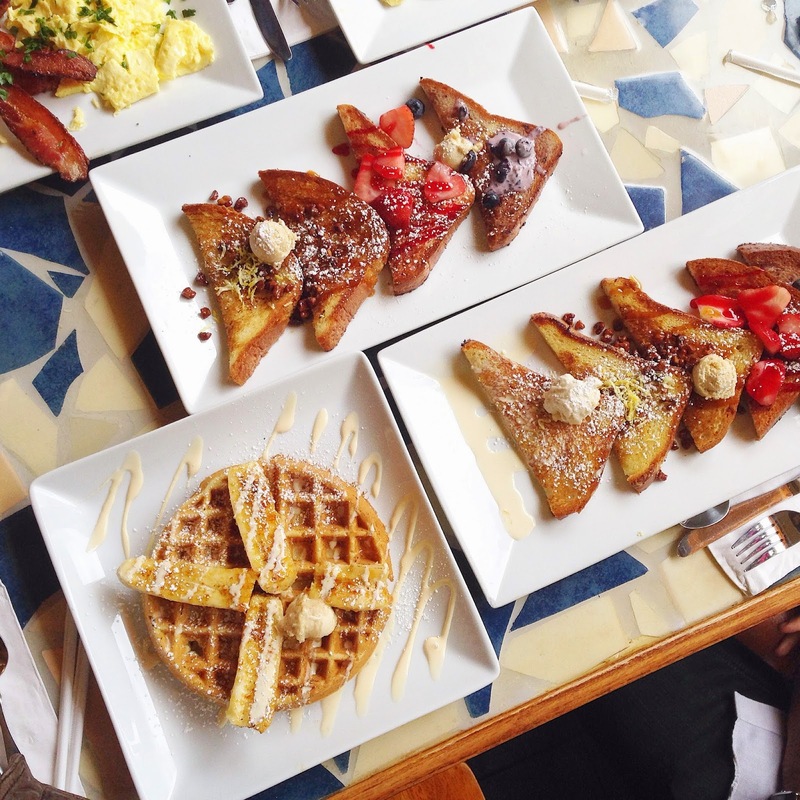 um so now I'm hungry and drooling, will be visiting these if I ever do visit Chicago! !